Collins Booksellers - The Intermediate Finite Element Method by DarrellW. Pepper, 9781351410113. Buy this book online. This book is a follow-up to the introductory text written by the same authors. The primary emphasis on this book is linear and nonlinear partial differential equations with particular concentration on the equations of viscous fluid motion. 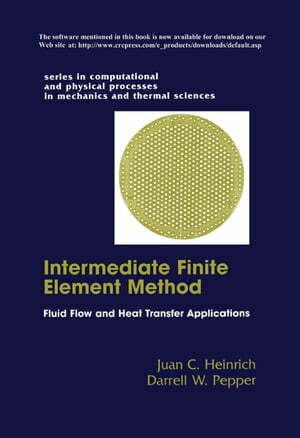 Each chapter describes a particular application of the finite element method and illustrates the concepts through example problems. A comprehensive appendix lists computer codes for 2-D fluid flow and two 3-D transient codes.